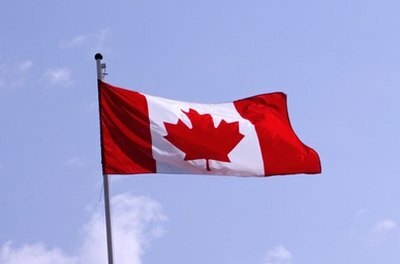 U.S. green card holders do not need a visa in order to enter Canada as a tourist or for a short stay, even if they are a citizen of a non-visa-exempt country. All that is required to enter Canada is a valid passport and green card. However, like U.S. citizens, a green card holder must obtain a visa before working or studying in Canada. Obtaining a work or study permit to enter Canada for a period longer than a year will require the application of a re-entry permit from the United States in order to not lose your green card while staying in Canada. Determine if you need a visa. Tourist visas are not required for green card holders, but work and certain study visas are required. Anyone wishing to work in Canada must obtain a work permit. Student visas, on the other hand, are required only for study programs that exceed six months. If you are planning to work or study a course that exceeds six months, you need to apply for a visa. Visit the website of the Citizenship and Immigration of Canada Bureau at cic.gc.ca to download and print the visa application packet for your respective visa. Complete the application and gather the necessary documents. Complete your respective visa application legibly and place it and all required documents inside a mailing envelope. Required documents for a student visa include: an acceptance letter from the school or university, piece of identification, proof of legal U.S. residency (photocopy of green card) and proof of financial support while in Canada (either proof of personal funds to cover tuition and living expenses or a letter from a beneficiary). Depending on which country you hold citizenship in, you may be required to submit additional items. Check with a Canadian Consulate in the U.S. for special requirements concerning your nationality. Additional documents for a work permit include: a job acceptance letter from your future employer in Canada, proof that you meet the job requirements, a valid passport and photocopy of your green card. Note that some jobs require a survey from the Human Resources and Social Development Canada (HRSDC). If one is required, your employer must obtain and file it for you. Pay the application fee. The application fee for both the work and study visa can be paid online (cic.gc.ca). If paying online, print your receipt and include it with your application packet. If you do not pay online, you can send a certified check or money order made payable to the Canadian Consulate General. Do not send personal checks or cash in the mail. Send your application packet to the Canadian Consulate General that has jurisdiction over the region/state in which you live. U.S. locations include: Washington D.C., Atlanta, Boston, Buffalo, New York City, Chicago, Dallas, Denver, Detroit, Los Angeles, Miami, Minneapolis, San Francisco and Seattle. Mailing addresses can be found on the websites of each embassy. For a full listing and links to websites, visit the CIC website under "Find a CIC Office." Ferland, Mallory. "How to Get a Canadian Passport Visa With a Green Card." , https://legalbeagle.com/6363766-canadian-passport-visa-green-card.html. Accessed 20 April 2019.